NexGeek themes has been purchased 111, rating: 5/5 based on 4 reviews. 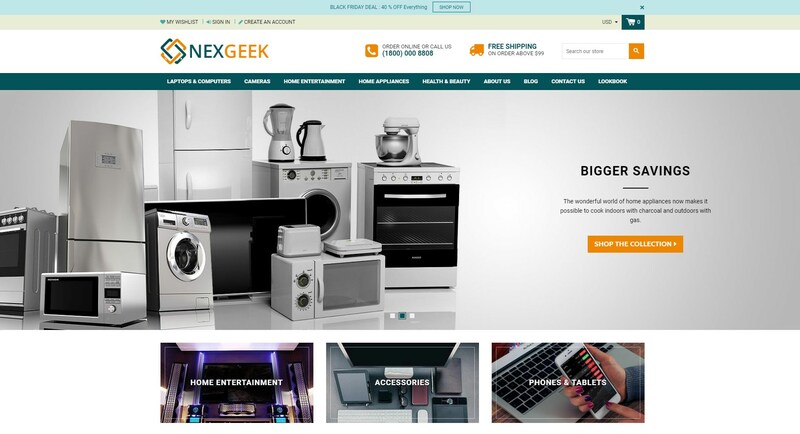 NexGeek is a design of Adornthemes. This theme is very beautiful, modern and clean. It is suitable for all stores, including multi-stores. In addition, it has a powerful panel that makes business and management more efficient. NexGeek also comes with a lot of necessary features for every Shopify store. Using NexGeek Shopify theme for your store will make the difference for your store with your competitors. This is a factor to impress customers at first sight. Try it today! © Copyright 2019 | Avada Commerce by Mageplaza | All Rights Reserved.